A range of wall-mounted fan convectors that are ideal for the home, office and a wide variety of other non-domestic applications. Fitted unobtrusively above head height, Ecovector® HL makes maximum use of wall space with a safe, high-level heat source. Suitable for use on both existing boiler systems and those driven by renewable technology such as ground or air-source heat pumps. 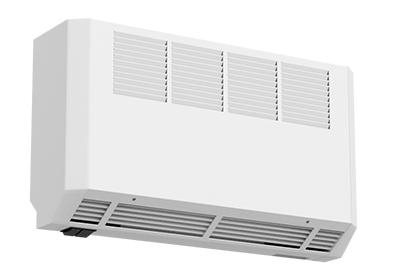 Using only 5% of the water content of an equivalent output radiator the Ecovector® high level fan convector is more energy efficient, more responsive and more effective than either under-floor heating or panel radiators. Will heat the room more quickly than other heat emitters thereby reducing the amount or time your boiler or heat pump is running. 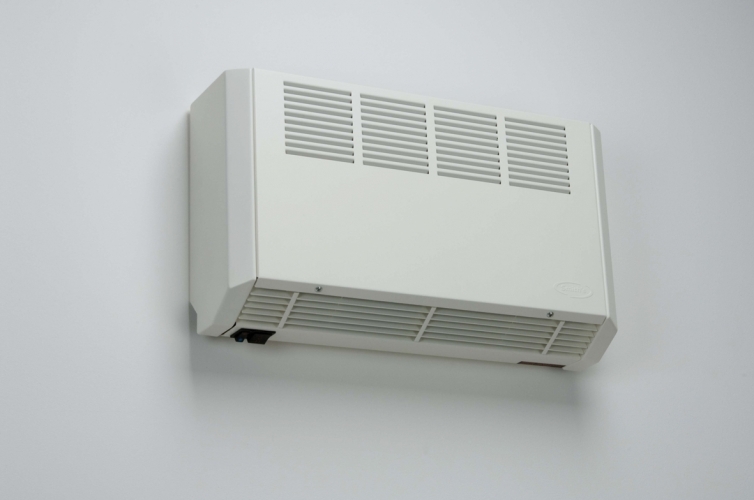 Low voltage model available for areas of high humidity such as bathrooms and swimming pools.